No stress☺, but we love details!! 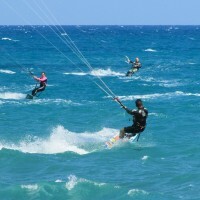 Welcome to Ananas kitesurfing, would you like to achieve your dream and to be an independent kitesurfer. Our lessons take place in small groups and the methods we use are safe and highly effective. All equipment is provided, only the latest 2017 Core Kite gear. During 2 hours on the beach, we will teach you everything you need to get ready for the water; you will learn how to fly the kite, all the safety procedures and how to set up the equipment. This lesson is the first step in learning kitesurfing, and is intended for those who are new to the spot, and you won’t even get tired! But don’t worry; there is still action, and a lot of more to come! Let’s get wet, before going to the water we will do quick refreshment about setting-up the kite and safety, after this lesson you will be able to start and steer the Kite on the water in different zones of the Wind window, “Body-Drag”. Let’s ride together!! In this lesson your wish becomes true, our instructions will make you be able to ride at least in one side and yes you can!! Let’s improve your skills and push you to the next level with learning up-wind, to have a ride in safe way with a lot of confidence!! We made it together  . 2 hours free surf intro lessons. We offer one BBQ dinner with all our students in one evening.Welcome to learn our cooking skills and get to know more moroccan culture! Welcome to Ananas kitesurfing, would you like to achieve your dream and become an independent kitesurfer? Either you have never tried kitesurfing before or you have been flying the kite for a while now, this is the perfect surf amp for you. 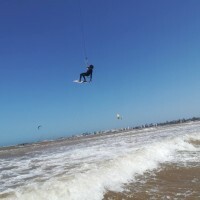 For those who had a lesson in the past or didn't kite for a while, we offer a refresher courseIf you’re now at the stage where you have learnt all the basic skills involved within kite surfing and perhaps need some expert coaching then a refresher lesson is a very effective way to progress quickly. It also means that you can relax and progress at your own speed, no worrying about being held back in group situations. You will be accommodate in our beautiful Riad Dar Atya, in the old town. There is a big living room for drinking tea, beer or whatever you like. We have a dining space as well as a big kitchen that is free for all to use. The kitchen has a large fridge to leave food, drinks or whatever other local delicacies you may find in the souks. All equipment for lessons included. We offer 2 BBQ dinners out with all our students in the evening .Welcome to learn our cooking skills and get to know more moroccan culture! 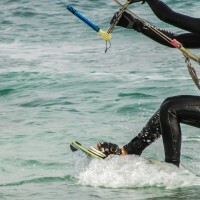 Ananas is offering fun & friendly kitesurfing lessons on the highest standard of tuition. We are here to let you enjoy watersports and other activities the way they should be. We aim you to learn and improve new skills in order to ride in a safe way for you and for others. The foundation of our company is professionalism, honest dedication to our work, and most importantly, a personal connection with every guest , turning them into a good friend!! There are many factors to consider when choosing which kitesurf schools you might like to attend besides the sheer cost of kite lessons. Factors as: long coaching experience around the world and now we want to shear our passion in our home town with you, safety approach (use of helmet, lifejacket...), good teaching tools-we use latest 2017 Core Kite gear and only certified instructors. Our lessons take place in small groups and the methods we use are safe and highly effective. We offer daily courses as well as a 3-7days (10 -14 hours) full beginner’s kitesurfing course that is designed to get you up and riding on the board as fast as possible and our goal is to train our students in a professional but relaxed way, so they can experience the art of surf/kitesurfing themselves and enjoy every moment in our amazing beach. We teach in english, german and french.